Give Blood – Save Lives! Giving Blood is all about generosity. Every day, patients in hospitals throughout Ireland require blood transfusions. Sometimes it may be for routine surgical procedure such as a hip operation. Other times it may be for someone recovering from a road traffic accident, major surgery such as a heart bypass or a patient undergoing cancer treatment. Without the continued generosity of people right across the country, hospitals and medical services would not be able to provide the blood and blood products needed. They depend on us to maintain an adequate and safe blood supply to save and improve lives. Donating blood is safe, quick, and easy, but fear of needles, feeling weak, or believing others are donating enough keep people away. Here are some facts to bear in mind which may make you more comfortable with the blood donation process. How much blood do I lose? As an adult, you have 8 to 12 pints of blood in your body. When you give a unit (1 pint) of blood, your body will replenish the entire amount you’ve lost. Will I experience weakness? A very small number of people feel weak right after donating, but this typically passes after a few minutes. Weakness can be avoided by coming to the donation centre with a full stomach and a good night’s rest. How long does it take? The entire donation process only takes about 10 minutes and can be repeated every 90 days. Remember, there is absolutely a blood shortage right now so it’s up to all of us to help. The Irish Blood Transfusion Service provides a continually updated chart, outlining the current levels of blood supply. On the day, this article went to post, O- and AB- supply were at only 3 days. To find out more about the blood donation process and to find a blood donor clinic in your area, please visit the Irish Blood Transfusion Service website at www.giveblood.ie. Screening can save your life. Whether you have a family medical history, lifestyle, and other factors that indicate that you are at greater risk for cancer, or if you are in a low-risk group with no symptoms of the disease, regular screenings are critical to successfully diagnosing and treating cancer. Early detection of cancer greatly increases the chances for successful treatment. In the early stages of cancer, there are often no symptoms, which is why screening is so important. Did you know that four out of five children in the Republic of Ireland are still not getting enough exercise, posing serious risks to their health and wellbeing? As we enter the summer months and the evenings stretch out a little longer, now is a great time for all of us to start thinking about getting more exercise and trying to ensure that our kids are involved. If You Find You Are In Pain During Or After Running, The Most Common Problem Is With Running Technique. Using The Following Tips To Adjust Your Technique Should Help You Not Just Run Pain Free But Also More Efficiently. Hold your head high and center it between your shoulders. A good trick is to imagine that there is a glass of water on your head. Make sure that you have a straight back and your gaze is forward while running. Throughout your run you should have a relaxed posture, keep your shoulders low and avoid stiffening up any part of your body. You’ll find that a relaxed body will react better to the impact of the run and will decrease overall fatigue. Feet and legs are the most important aspect to any run. used you will be able to perfect your running stance. Stride and your type of feet play a major role in good running technique. Most people naturally hit the ground with their heel first. This unfortunately increases the impact on joints such as knees and ankles and increases the chance of injury. A mid-foot strike decreases the impact on the joints and aligns the body’s centre of gravity. One of the most common issues with runners is over striding, where the runner places their feet to far in front rather than under them. By slightly bending your knees you can counteract this problem and produce excellent leg stride. As everyone’s feet are different it is hard to assess whether you have a heel strike or a mid-foot strike. Physiotherapists can use gait scans to assess a person’s biomechanics and offer a unique insight into the effect your run is having on your body. Your arms act like the accelerator in a car providing the power and speed. Elbows – keep your elbows at a 90 degree angle and swing them between your chest and your waist. Positioning– keep your arms low and allow them to swing from the shoulders in a pumping motion from front to back. Speed – pump your arms as fast as you want your legs to go! The faster you pump the faster you go! During Your Training You Will Meet Many Obstacles, From Injury To Making Excuses Not To Run, But It Is The Ability To Overcome These Obstacles That Will Ensure You Stay On Track With Your Training. As the weeks go by, Mental skills training should become more and more a part of your running programme, and like anything, it must be trained to hone these skills. Here are some areas to focus on to push your training further. Setting realistic yet challenging goals will put your motivation into concrete, and writing them down can help reinforce your goals daily. Also, Having both short and long term goals will promote progress each day of training towards your overall end goal. When setting goals, it is important to be aware of your own current ability level and set specific goals relative to this ensuring you don't use other people's performances as a bench mark. Most importantly, you must commit to the goals you make for each day, each week and month and the demands that come with them. Maintaining a positive mental attitude is essential for progress in your training. The ability to improve each day you train is very achievable, and competing against your best self is a means of doing so. Maintaining a positive outlook, even on the bad days is what will make your training successful in the long run. Using goals is an obvious start, but also, running with a friend can push you maintain a routine, watching runners you aspire to become can help motivate you, aswell as using an upcoming event or race to work towards. These tips can aid your motivation and push your training further. Rather than focusing on stress, use your run to picture the runner that you want to be. Using mental imagery to see your goals crosses over to real life, with the same parts of the brain used for mental and physical rehearsal. Pay attention to your form and breathing while running to ensure you maintain a running rhythm putting your thoughts into reality. Positive self- re assurance and encouragement is essential to continue running through pain and to harness improvements. Making sure positive rather than negative voices are being sounded in your head while running is important for your motivation to start and motivation to continue running. Running a personal record in a race is a popular running goal, but there are plenty of other targets to keep you motivated to run all year-long. Here are some goals to set your sights on. Run a Personal Best: If you’re an experienced road racer, you may be trying to set a personal record in 2015. Whether you’re training for a 5K, 10K, half or full marathon, get a training schedule that will take your running to the next level. Stay Injury-Free: Avoiding injuries and staying healthy is a great ambition, especially for runners who have been plagued with injuries in the past. Simple steps such as getting the right running shoes can help keep you injury-free. 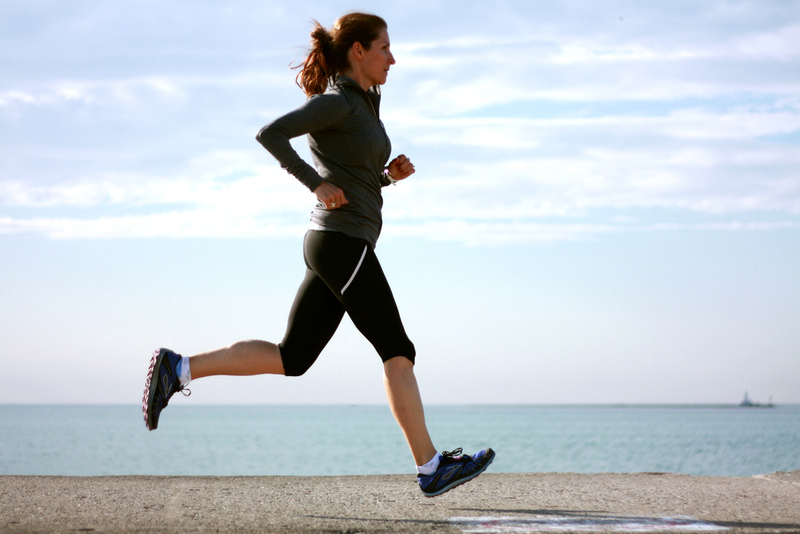 Run to Lose Weight: Many people start and continue running to lose weight or maintain their current weight. Or just…Run to Have Fun! What Is a Good Time for a 5k? Running 5K doesn’t mean the same thing for everyone, so it’s difficult to say what a good run time is. For some people a good run time is that they finished the 5K at all, whereas other more experienced runners may be itching to beat their previous personal best. However, to get an idea of an average ‘good time’, an easy way is to look at the race’s previous results, which are most likely listed on the race’s website. You can see the times of the age group winners and you may notice the range of finishing times are probably similar from year to year. Finishing times for a 5K span a very wide range because there’s usually a mix of experienced, fast runners and beginner runners and walkers. The winning male may run the 5K course somewhere between 12-15 minutes and the winning female may run it in the 16-19 minute range. Some walkers may take over an hour to finish. Most people feel good about finishing in the 20-25 minute range. For your first 5K run, try not to get too hung up on your finishing time or comparing yourself to others. Focus on how you feel during the run, especially that feeling of excitement when you finish. Once you gain some more racing experience, you can focus more on your performance, and compete against yourself trying to beat your personal best! In most races you will find a few people walking at some point so relax, running a race doesn’t mean you have to go sprint through to the end. So if you plan to run/walk the race, don’t worry there will be plenty of people doing the same. If you are that concerned that you’ll be the only one taking a walking break find a race that is walker-friendly. For bigger races, make sure you’re in the correct starting position and don’t start with the faster runners because you’ll try to keep up with them and end up tired and slowing down before your reach the end. This is tough to do but try to run your first mile slower than you plan to run the final one. Although you will have more energy at the start and be fighting to hold yourself back, you’ll appreciate it at the end when you still have enough energy to run all the way to the finish line. Start your race at a comfortable pace and make sure you check your watch at the first mile marker. If you’re ahead of your anticipated pace, slow down. It’s not too late to make pace corrections after just one mile. No matter how focused we are on a task or how committed to a schedule, we all go through periods when we need a break – both mentally and physically. This is the same for runners. This can happen after completing a big race that you've been working towards for months as it can be tough to stay motivated once you've reached your goal. Don’t worry about a schedule. On those days when you feel burned out from following the programme, simply run for fun without worrying about time or distance. Simply stop whenever your mind or body tell you to. If you go for long runs and don't follow a strict programme, cut back your mileage by at least 50% every fourth week and take two rest days during your off week. This will give you a good recovery period for your mind and body. Give your mind and body a break from the norm by participating in activities other than running, such as swimming, biking, or yoga, one or two days a week. This will stop you from getting bored and will also give your running muscles a break. This programme is designed for those of you new or returning to running to set your own goals and get what you can from it. But remember, it’s also supposed to be enjoyable so you don’t have to run your heart out in every race you enter or every run you go out on. Sometimes it’s fun to run at an easier pace than your race pace and just enjoy it without putting any pressure on yourself. Change your route and routines. You’re bound to burn out and get bored if you keep running the same route. Switch up your route or even the time of day that you run. Go for a run before work in the morning, if you usually run in the evening. I thought I would lose more weight by now ? Are you eating more calories than you need? Even if you are running, if you aren’t burning more calories than you’re consuming, you’re not going to see a difference on the scale. Try spreading out your calories throughout the day into 5 or 6 small meals so you don’t overeat. Also make sure you’re snacking on the right foods to improve your weight loss and performance, and not junk food. Don’t forget that sports drinks have calories too! While hydration is important, plain water is find for shorter runs and when you are not running. So make sure you combine running with a healthy diet if you are looking to lose weight. Pay attention to how you’re feeling overall, and use measurements such as inches other than weight, as you may not be losing weight but your body fat percentage has decreased so you’re more toned than you were before. You’ll probably have more success if you increase your overall weekly mileage. If you always run the same pace, try incorporating speed intervals in one run. You can start adding speed by warming up for a mile and then running at a faster pace (breathing heavy but still in control) for a minute, and then recovering at an easy pace for a minute. Continue with this pattern for two miles, then cool down for 5-10 minutes. When that gets too easy, you could always increase the time of your speed intervals or do hill repeats instead. How Fast Should I Run? It is always difficult, especially as a beginner runner, to know what pace you should be running at. Daily runs should always be done at an easy pace, where you can continue a conversation without gasping for breath. If you are running with a partner, you should be able to speak in full sentences and not just short ‘yes’ or ‘no’ answers. For new runners, a conversational pace may mean continuing doing a run/walk combination. So for now, don’t worry about your speed, if you are still able to converse you are running at your right speed! Once you build your fitness level and gain more experience as a runner, you may want to start doing a faster run once a week. However, you must remember that even experienced runners don’t push themselves to fast or too hard on every run. Do an easy paced run at least every other day to give your body a chance to recover and avoid injury. Do I need to eat during a long run? Running for a long period of time puts pressure on your body to produce energy to keep you going and keep your performance up. When you go for a short run (less than an hour) most of your energy comes from stored muscle glycogen. However if you are running longer this reserve gets depleted so the sugar in your blood and liver glycogen become more important. Fueling with carbs during longer runs will prevent you from running out of energy and help maintain performance. So how do I refuel when running? Well, one easy way to get carbs while running is through sports drinks. If you would prefer solid foods they need to be small and easy to digest such as energy bars or sports jelly beans which are designed for long distance runners to eat while running. Some runners prefer sweets like gummy bears so try experimenting and see what you prefer on your longer runs. So how much should I eat on the run? You should be taking in about 100 calories after half an hour of running then another 100 calories every 40-45 minutes after that. This will vary per person, depending on size and speed. Listen to your body, and if you feel hungry or low on energy, take break and consume other calories. We've all been there, you’re half way through your run and you want to give up… or maybe you are still staring at your running shoes trying to summon up the motivation to get going. Whether you are a novice or a runner who has been running for years, it can be difficult to stay motivated to train on a regular basis. If you are new to running sometimes you feel you may be going backwards or just making no progress at all, which can leave you deflated. Keeping a training log or running blog is a good way to track your progress and help you stay motivated. You might just look back at it and remind yourself just how far you've come, and how much more you can achieve! Every now and then, treat yourself to some new running gear, such as a new shirt, or a massage (this also helps with injury prevention) as a reward for your hard work. This might make you feel energised and revive your commitment to training. Set Yourself Goals Staying with the programme is key in order to progress, and making and achieving incremental weekly targets towards your overall end goal will help ensure gradual improvement and renew motivation each week. For example, aiming to beat your previous personal best time or distance each Friday. Running can be a social as well as individual sport. Finding a local running club or getting friends or family to run with you is a good way to start and stick with running. You can use each other to motivate and push each other on. Make sure you remind yourself of the health improvements you’re making with every run. Step on the scale and check your weight, think about how much more energy you have, and how you now have a healthy new way to relieve stress. Sometimes no matter how much you plan to run, life can get in the way – you get stuck at work, or you’re really tired, or you simply don’t have time. Don’t beat yourself up just because you don’t stick to the exact schedule. Sometimes a rest day can benefit you more than a workout. All of us have bad days or missed days, so just accept that and get back on track with your programme. More importantly make sure you have fun! Don’t make running another stress in your life and enjoy it! Prioritise. Ask yourself one question – if you are not running then what are you doing instead… Watching T.V., meeting friends, in the pub, at work?? Surely you can take 30 minutes out of your day to fit a wee run in. If you’re really stuck for time, divide your run up between the morning and evening, your body will still get the same benefits. You probably think you don’t like it because you’ve been stuck doing activities that you don’t enjoy. Many people still have the old “no pain, no gain” mentality and think that in order for exercise to be worthwhile you have to be miserable doing it. This just isn’t true. Perhaps you set unrealistic goals for yourself and challenged yourself too much. Start with small attainable goals and build on these every week. Download a playlist with your favourite tunes… Go running with a friend or partner – all these little things can help. As they say “There’s no such thing as bad weather – just bad clothes.” So don’t let the winter get in the way of an enjoyable run. Let’s face it, if you wait for the perfect sunny day to get going, you’ll be waiting a long time! If you’re dressed properly and prepared to deal with less-than-ideal running weather, you can still go for a run and actually enjoy it. It may sound counter-intuitive but working out actually gives you more energy. Ever heard the saying ‘Energy makes energy’. Once you get moving, your fatigue will likely disappear as you are getting the endorphins to release and the circulation going — as opposed to coming home and crashing on the couch. If you find you are really tired at the beginning of your run, start off by walking and pick up the pace slowly. How to get rid of stitches? Side stitches can be very painful and are frequent in those new to running as new runners tend to breath quickly and shallow. To get rid of stitches, firstly to relieve some pain, gently push your fingers into the area where you’re feeling the stitch. Try changing your breathing pattern, taking a deep breath in quickly, then hold your breath for a couple of seconds and forcibly exhale through pursed lips. If this fails, stop running and walk briskly for a few seconds while deep breathing. Continue running after the stitch goes away. Avoid shallow breathing and breathe deeply from your belly and not your chest. Why do I feel out of breath when running? Whether you are a new or experienced runner, it is normal to breathe harder than usual. However, breathlessness and discomfort should not be part of running. When running, breathe in and out through your mouth, breathing deep from your diaphragm and not your chest. This will allow you to take in more air. You should be running at a pace at which you can breathe easy, where you can still speak in full sentences. The more fit you become, breathing will be easier. If you do feel you’re running out of breath; relax, slow down or walk and your breathing should resume as normal. If you find that you are wheezing and have trouble catching your breath, even when you do slow down, speak to your doctor about whether you might have asthma. Many runners, especially those new to running, often get so excited about their running that they do too much, too fast, too soon. This often results in common overuse running injuries. So, to prevent this happening, don’t let your weekly mileage increase by more than 10%. Stick to our walk/run programme outlined and this should prevent this from occurring. Having a day off from running every second day will help your muscles build and repair themselves. Some runners assume that a longer stride will help improve speed or efficiency. However, over striding wastes energy and can lead to injuries such as shin splints. Try to focus on landing mid-sole instead of heel first, with your foot directly underneath your body with every step. Keep your steps light and quick as if you’re stepping on hot coals! When running downhill, some people have a tendency to lean way too far forward, over stride, and run out of control, leading to injury. The best way to run downhill is to lean forward slightly and take short, quick strides. Try to keep your shoulders just slightly in front of you and your hips under you. Avoid taking huge leaping steps to reduce the pounding on your legs. Some runners swing their arms side-to-side, which makes you more likely to slouch and not breathe as efficiently. Holding your hands to high up near the chest tends to make you more tired and you’ll start to feel tightness and tension in your shoulders and neck. Try to keep your hands at waist level, right about where they might lightly brush your hip. Your arms should be at a 90 degree angle, with your elbows at your sides. You should rotate your arms at the shoulder (not at the elbow), so they’re swinging back and forth. Keep your posture straight and head up, when you feel yourself slouching, push your chest out. Many runners underestimate how much fluid they lose during runs and don’t drink enough because they’re worried about side stitches. As a result, they suffer from dehydration, which can be detrimental to your performance and health. An hour before you start your run, try to drink half a pint of water. Stop drinking at that point, so you can prevent having to stop to go to the bathroom during your run. Use your thirst as your guide for when to drink during your runs. 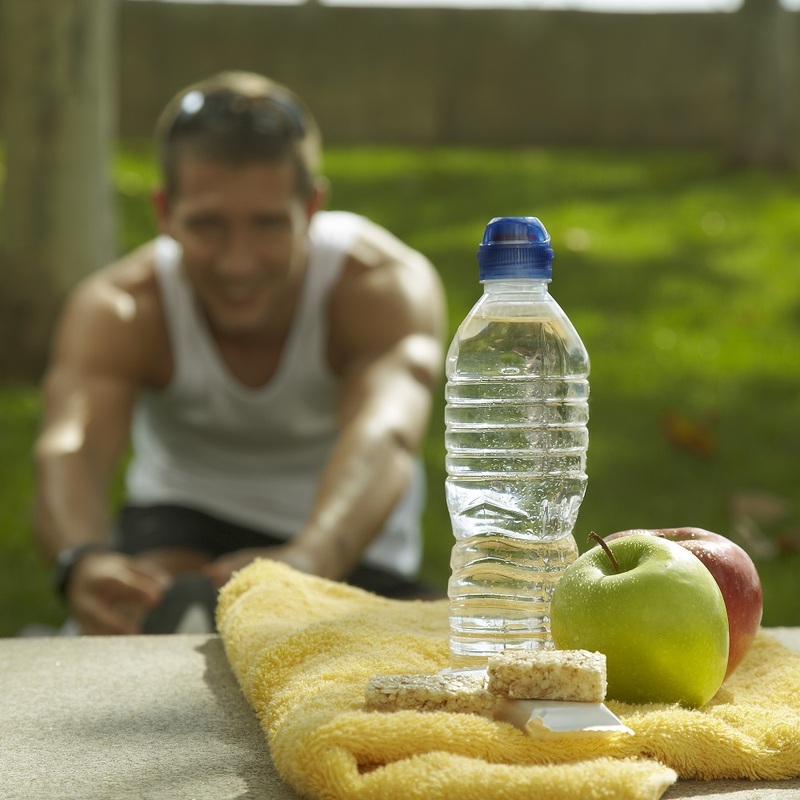 Don’t forget to rehydrate with water or a sports drink after your run. Many beginner runners underestimate the importance of nutrition, for both their running performance and their overall health. What and when you eat before, during, and after your runs has a huge effect on your performance and recovery. Try to eat a light snack or meal about 1 1/2 to 2 hours before a run. Choose something high in carbohydrates and lower in fat, fibre, and protein. Some examples of good pre-workout fuel include: a bagel with peanut butter; a banana and an energy bar; or a bowl of cold cereal with a cup of milk. Make sure to replenish energy as quickly as possible after a workout. If you eat soon after your workout, you can minimize muscle stiffness and soreness. You’ll want to consume primarily carbs, but don’t ignore protein. A peanut butter and jelly sandwich, a fruit and yogurt smoothie, and chocolate milk are examples of good post-run snacks. Don’t follow a low-carb diet when training. You need a certain amount of carbohydrates in your diet because they’re a runner’s most important source of fuel. When is it OK to run through pain? Whether you are a beginner or a serious runner, after a long run you are likely to feel some aches and tenderness in your muscles. While this is normal, if the pain is persistent it shouldn't always be disregarded completely as avoiding the pain can lead to a more serious injury. So when is it ok to run through the pain? Mild Pain: You feel this type of pain when you start to exercise but it usually goes away as you start to warm up and continue running. The pain may be inconsistent and moves around the body. On a pain scale of 10, it ranges from 1 to 3. Mild pain or discomfort is common and considered safe to run through. If you are concerned with any areas where you feel pain, apply the RICE protocol after your run. Moderate pain: This type of pain appears as you start exercising, but stays at a tolerable intensity throughout your run. On a pain scale of 10, it ranges from 4 to 6. While it OK to finish your run if you’re almost done, it’s best to listen to your body, take a few days off from running and apply RICE protocol to allow your body a rest. A couple of days of rest or pain-free cross training now can prevent a more serious injury occurring. Severe Pain: Ranging from 7 to 10 on the pain scale, this pain is severe in nature and you can feel it before, during and after exercise. The pain increases as you continue running and will typically cause you to limp. You should never continue running when you feel this type of pain. Consult a Chartered Physiotherapist who will be able to provide the right treatment and advice to get you back on track. Rest: Stay off the injured body part (foot/ankle). Walking may cause further injury. Compression: An elastic wrap or bandage should be used to control swelling. Elevation: The (foot/ankle) should be raised slightly above the level of your heart to reduce swelling. Feeling self-conscious about running in public? First things first – You are not alone. Fear of running in public or feeling self-conscious while exercising prevents a lot of people from even beginning a running routine. You may be worried that you’ll look slow, silly, too fat, and too old to other runners or people on the street. Like anything else, the first time is usually the hardest, so don’t be concerned about what others think! As a runner, you are now part of the running community which has no sign up fee, no restrictions, just individuals with the same interests and focus. Remember that all runners were new to the sport at some point, so they can all relate to the struggles that beginners face. If it’s what non-runners will think that you’re worried about, try to concentrate on the positive benefits you are getting from the run and put your focus and energy into that. Be proud that you are doing something good for your physical and mental health. Wearing the right clothes for running may make you feel more comfortable when running in public. For women, it’s especially important to wear the right sports bra. While running can be done by yourself, at the beginning you may also feel less self-conscious if you get a friend or family member to come along with you. Not only will this help you gradually build up confidence to go out on your own, you can also keep each other motivated to run. Once you’ve run in public a few times, you’ll start to forget there are even people around. And remember, no matter how slow you are, you’re still lapping everyone on the couch! Why should I walk during my runs? Most beginner runners start out using the run/walk method because they don’t have the endurance or fitness to run for extended periods of time. More advanced runners often use this method while treating an injury and want to reduce their impact — and some stick with run/walk even after they’ve recovered from their injury. Runners can incorporate walking into their runs by walking for the warm-up and cool down portions of your run or by using the walk/run method we have outlined. Whatever your reason for getting started with the run/walk method, when you’re first getting started with running, it’s helpful to follow a schedule. Endurance: Increasing your muscle endurance without putting too much stress on your joints and muscles as running does. Injury Prevention: Walking during a long run also gives your running muscles and joints a chance to rest and recover, which can help you complete your planned distance and also prevent injuries. Weight Loss: Your heart rate is lower when you’re walking, which means your body will use fat for energy rather than mostly fast-burning carbs. Mental Health: Taking a walking break can really break up the monotony during a long run or race, which can help you deal with the mental challenges and any discomfort you may be feeling.